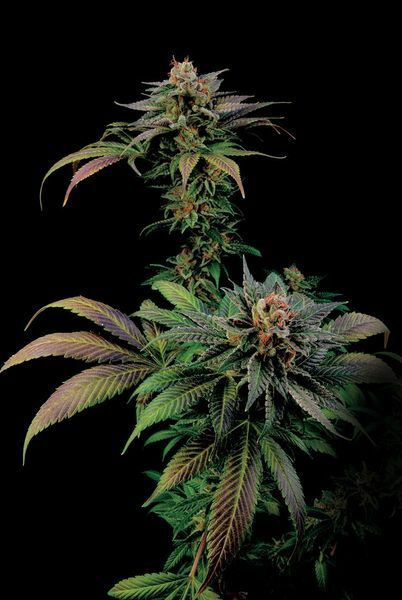 Blue Widow cannabis seeds by Dinafem Seeds belong to a feminized Sativa/Indica cannabis strain obtained by crossing a Blueberry and a White Widow. The result is a balanced hybrid with several properties appreciated by growers worldwide. This cannabis seed is a true delicacy that clearly displays the rich complexity of its genetic parentage. It grows into a wonderful, fast-flowering, easy-to-grow, medium-sized, vigorous marijuana plant that yields large, compact buds covered in a good layer of trichomes. The influence of its parent Blueberry makes her develop a nice purple/violet hue if night temperatures drop by 10ºC.